Thank you very much to everyone who came to Vegfest Brighton 2016 and dropped in to see us at our Yu & Mi Company stand. We were happy to chat with you all, and were really pleased to find that so many people are interested in Japanese food and healthy eating. As we shared with you, our product DRIED KONYAKU is a traditional Japanese food which can be enjoyed in a lot of Japanese recipes. Many of you requested that we put those recipes on our website, so this is now one of our most important missions! Please follow us on twitter, Facebook or Pinterest and we will let you know whenever a new recipe is available. We didn’t have enough time to talk to everybody about the many wonderful benefits of Konyaku, so please visit our website soon for more information. 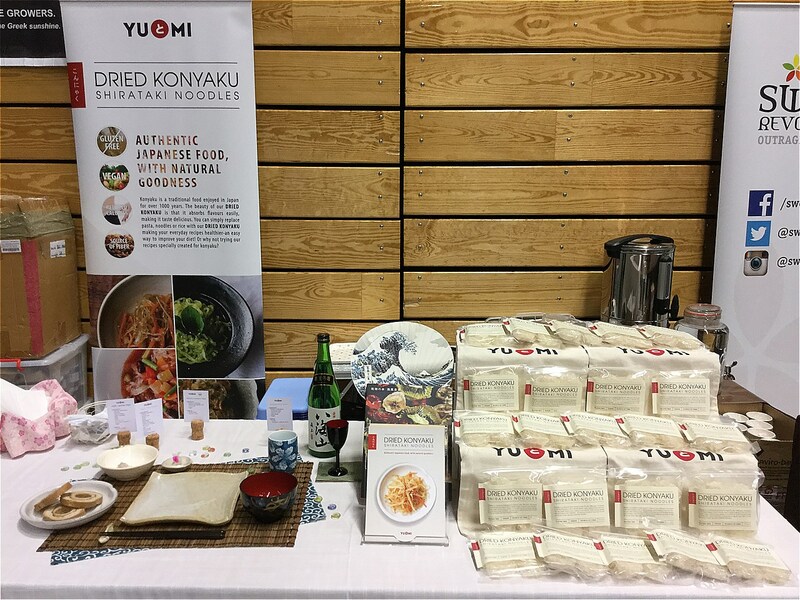 Thank you so much again for coming to our stand and we hope you will enjoy our DRIED KONYAKU!